When you lose a loved one to death, a funeral ceremony offers a formal way to say goodbye. Such services should be personalized to reflect the life of the individual. The mortuary you use offers assistance in planning an appropriate service for your loved one. One important question to consider is the music that is appropriate for such an occasion. Live music is appropriate, whether you choose instrumentalists or vocalists. In the past few decades, it has become more common to use recordings. There is usually a eulogist or officiant for the service. This person may be a clergy member, family friend or even a member of the family. The family is generally responsible to communicate with the individual in planning the service. In some cases, families need help in contacting a person who can do this job. 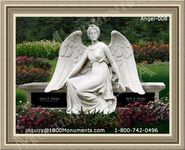 Most mortuaries offer assistance. Keep in mind that some religious ceremonies may include specifics as to what is included in the services. Often the individual may have been a part of a fraternal organization or served in the military. Such groups may be invited to take part in the service. Some have specific types of services, specific to their organizations. Veterans groups may offer the final playing of taps, salute to the deceased (21 gun), and present a flag to the family. Saying goodbye to a loved one who has passed is often difficult emotionally, but, for many, an important part of the grieving process. 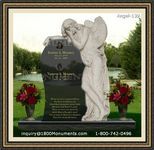 Plans for a funeral ceremony should be discussed before the loved one passes if possible. 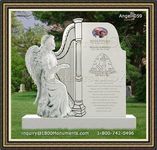 This allows you to plan a service you know your loved one would have approved.